When you make Taco Bell Taco Sauce you don’t need to leave with tons of little sauce packets in your pockets, you can make this sauce at home. You can make flavorful taco sauce at home that tastes just like it does in the restaurant. Homemade hot sauces are just as good as ones you get away from home. This copycat recipe is made with common ingredients, you can find at home. Soon you will enjoy mild taco sauce made from your kitchen. 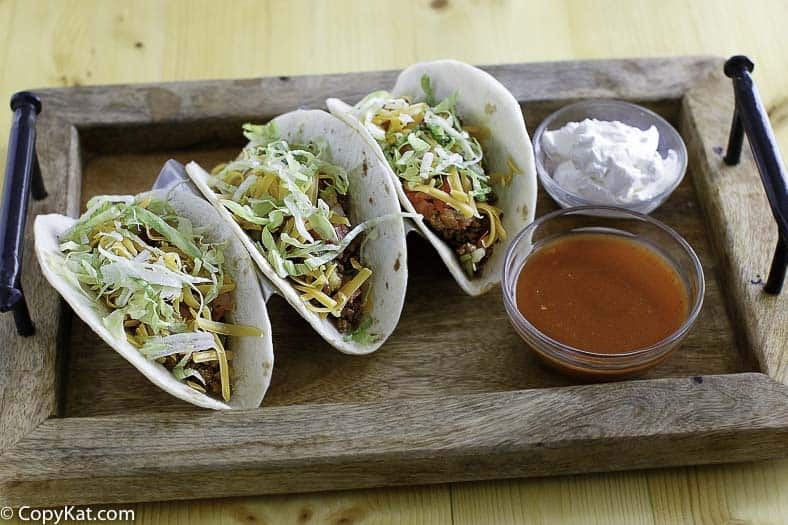 The taco today is a fast-food staple, but you might be wondering how it came about. 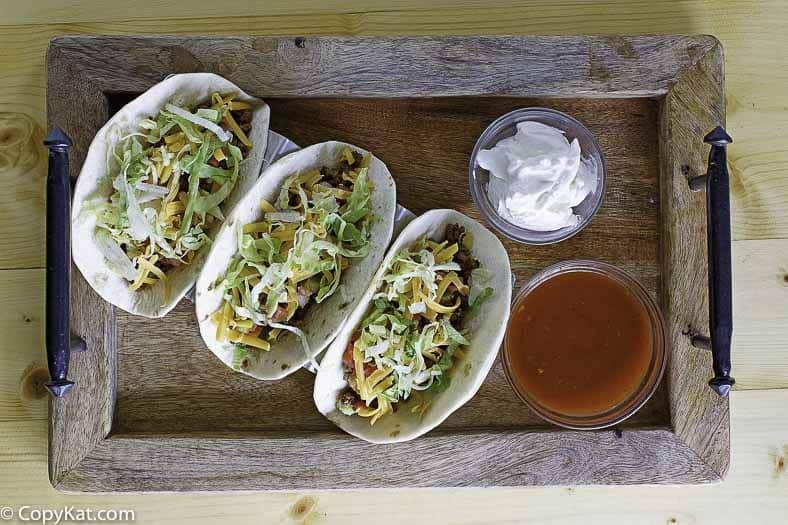 The taco was most likely invented by Mexican silver miners in the 18th Century. In those mines, a “taco” was the name of the little charges that were used to excavate the ore. These consisted of pieces of paper wrapped around some gunpowder. These “tacos” were inserted into holes the miners carved in the rock. Actually, if you stop and think about it, a chicken taco with a good hot sauce is a lot like a stick of dynamite! For a long time, taquerías were in the working-class neighborhoods of Mexico City. Industrialization lured migrants from all over the country, and the women brought with them their regional cooking skills. Every region in Mexico has slightly different local foods, so Mexico City became a huge bubbling stew of all these different foods. This cosmopolitan world of dining was not for the rich and Mexican food as we know it today was born. When Did the Taco Appear in the U.S? Glen Bell did not invent the taco. He borrowed all things taco from his Mexican neighbors. What he did do was utilize a U.S. business model called franchising. Mexican restaurants generally don’t put the word “taco” in their restaurants’ names. 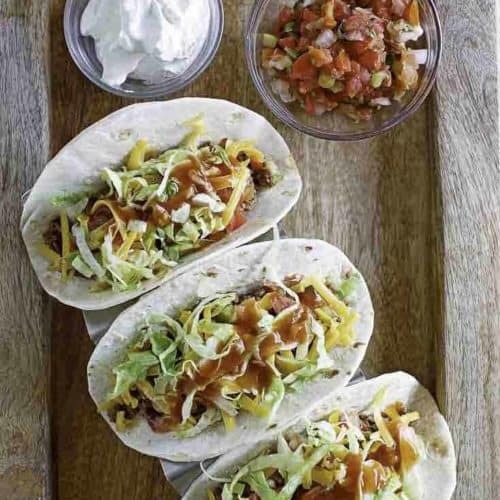 Thanks to Glen Bell, Mexican food is much-loved food, and more hot sauces are sold each year than ketchup. To read about the history of the taco. Want a Taco Bell Taco to Go With Your Sauce? 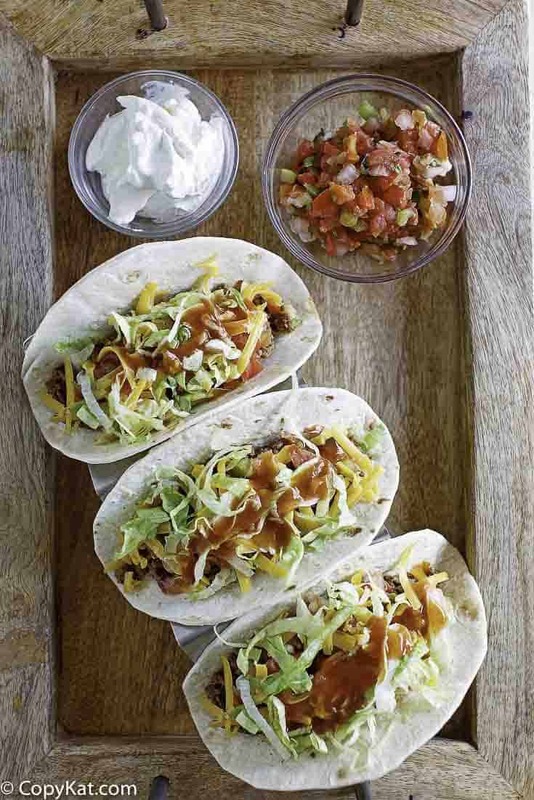 Want More Copykat Taco Bell Recipes? Make your own mild version of the Taco Bell Taco Sauce. Place in sauce pan and stir well, simmer at a very low temperature for 15 - 20 minutes. Remove and cool. May be kept in refrigerator for several days. I would really like the recipie for the Mexi-Nuggets they used to have. I didn’t even know they had these. I made this and added a more chili powder, garlic, cumin, and some more hot pepper to the mix. I had some taco bell hot sauce and I did a taste comparison. This recipe doctored up tasted much better. do you happen to have the recipe for the sauce they use in the quesadillas? Thank you for taking the time to create this recipe. I LOVE the red sauce used on the burritos & enchiritos but not the taco sauce in the packets. Please, please, please, do you have a recipe for the red sauce? The red sauce is included in Stephanie’s Enchirito recipe. Just do a site search, and you’ll find it. The mild sauce does indeed contain both salt and sugar, so your use of garlic salt is not wrong, neither is your use of sugar. Just thought I’d let you know, your recipe is very close to the original. I’d call it a blend of the ingredients in the original Mild & Hot Border Sauces. PS ~ Keep up the good work. Thank you very much. I did try pretty hard on this recipe. I liked this sauce a lot just omitted the vinegar. I was thinking that the Taco Bell’s sauce the one that is in the burritos “secret” ingredient, the one that makes us come back there again and again and crave it more are those yeast extract and natural flavors that are hidden words for mono sodium glutamate, a food flavor enhancer that ppl become addicted to. Ok, recipe is wrong. There is no sugar in the real sauce. Tomato PASTE is used in the real sauce. The real sauce is very low in sodium (35mg) so the garlic salt is not necessary, just garlic powder. Thank you for letting me I am wrong. Perfect. Tastes just like the stuff in the little packets or the restaurant sauce they sell in the store. I found this very close to Taco Bell’s sauce. I will cut back on the vinegar the next time I make it. It was a little too sour for my liking. I also “like it hot” so I used hot, smoked Spanish paprika. I am glad you enjoyed this. You may be able to cook a little of that vinegar out, also you could add a little sugar. can i can this recipe? Yes, but I would pressure can it, to be safe. Who doesn’t love a run to the border? I liked it, and actually thought it was pretty damn close to Taco bell’s Mild sauce. I am happy that you enjoyed this recipe. Would this be something I could make in a big batch, then can in mason jars for longer storage? Did you just process this with a hot water bath? If so, how long did you process this. is this the taco bell sauce they use in their burritos? It’s not the sauce in the burritos. i really want the recipe for the red sauce in burritos pls! Too hot. I cut the cayenne in half.